With only one more day to go until I’m surfing my heat at the Boardmasters, i’ve got my fingers crossed for some ok waves and a fun week of surfing and fun with all the crew! I had a great little practice surf today at my local beach and was stoked to rock up to find some fun looking waves (that wasn’t in the forecast) and Im feeling pretty confident. 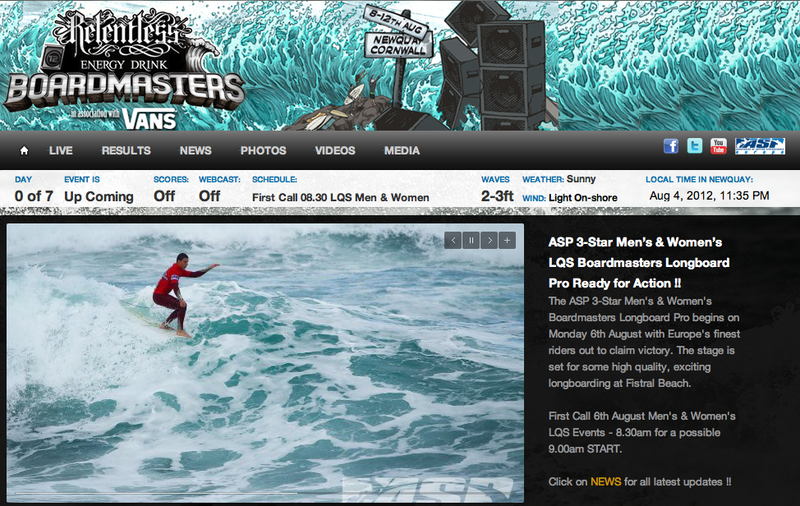 Heat draws were also published and I’m up in round one, Heat 2 against my friend Becky and a young Hawaiian Girl. Hopefully I can do enough to advance to the quarter finals. 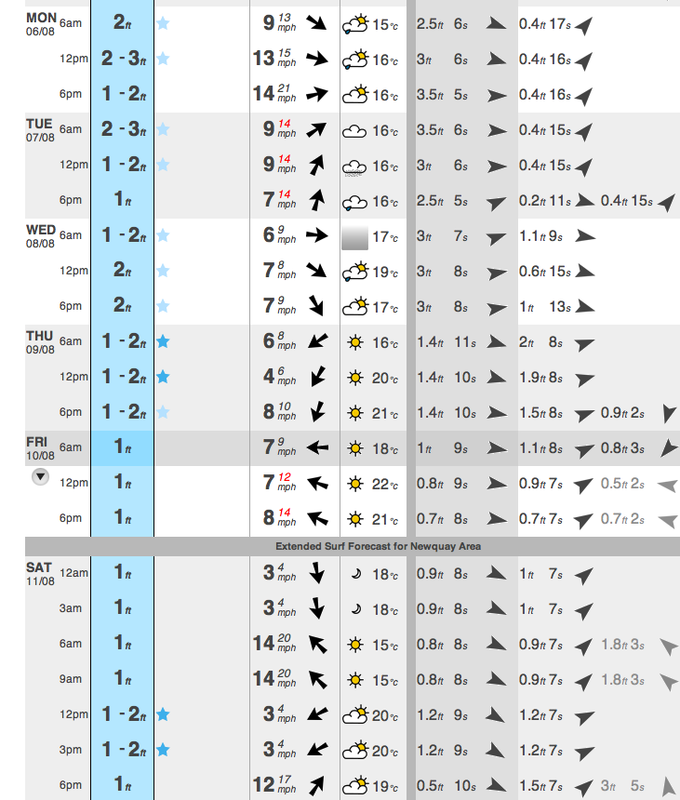 I’ve also been looking at the surf report for the week and conditions aren’t looking great. Luck normally has it that its massive and howling onshore for events. For this one it’s looking as though the sun is going to shine, but the waves are going to be in the small (maybe even flat range). There’s still some hope that things may all come together for at least a few days of great contest conditions but it doesn’t look like it going to be epic! Not so bad for the longboarding, but you’ve got to feel sorry for the shoartboarders who could really do with some nice powerful waves to really show off some of their skills and talent! ← Capture the Colour Contest….